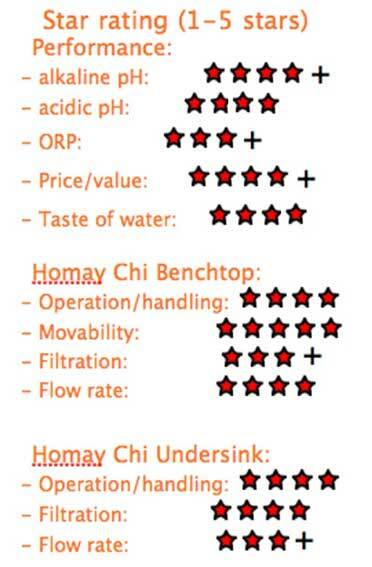 The Homay range is Ionza's entry water ionizer/alkaliser - Great value for money - a little gem! 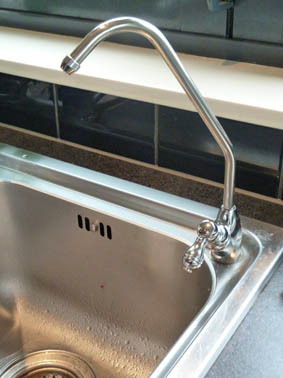 The Benchtop or Wallmount version can be installed directly to the sinktap (Mixertap) with a tap diverter valve, (self install possible) and comes with all the parts, which makes installation a breeze, at no extra cost. The water tastes great, soft and nice to drink. 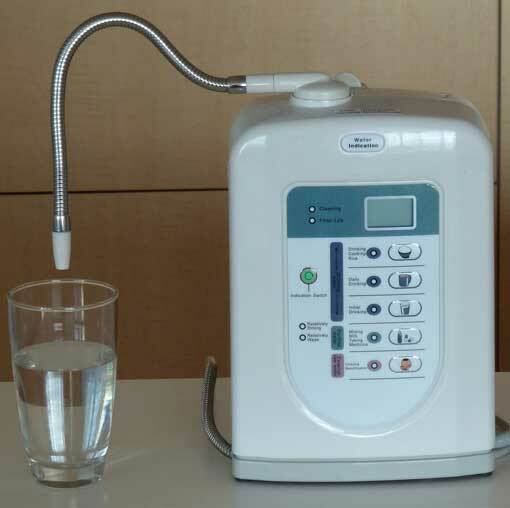 - pH: You achieve good levels of alkaline water, pH range up to pH10. - Antioxidant content: When you make fresh pH 9.5 water, you will see thousands of bubbles in the water swirling around.......... a clear sign of good ionization. 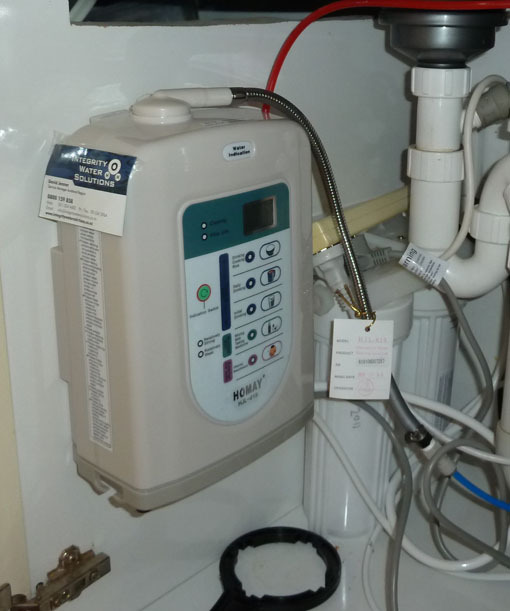 The measurement shows it too: The antioxidant content is measured in ORP (oxidation reduction potential): ORP up to -320mV depending on mineral content in the water supply. - Flow rate: 0.7 to 1.8 liter/min depending on water pressure and mineral content. The upgrade 2012 model has now faster flow, up to 2.0liter, in particularly with the new BIO-MINERAL dispenser it can achieve even higher flow rates up to 2.5liter/min. It comes with a mineral port, therefore you can add extra minerals. The Undersink installation is a nice, simple and convenient set up. It comes with additional 2 prefilters, hollow fibre block, activated carbon filter for extra strong purification and the specialised filter tap (3way). The ionizer unit is placed under the bench, and needs to be accessible to change the settings. The ionizer can be conveniently turned on and off by using the filter tap on the bench, delivering water at the most recently used setting. The Undersink model needs to be professionally installed. The water flow rate can be a bit slower than the benchtop set up, but ok at 1 -1.5litrs per min depending on operating water pressure. Please note: There can be a real advantage when the water runs slower as we get stronger ionization.